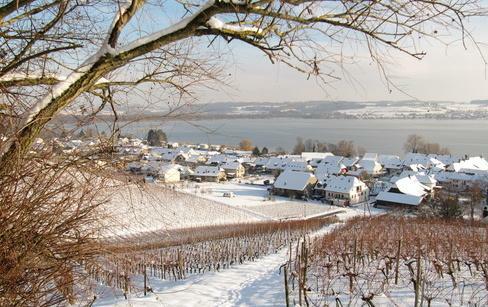 Le Vully, a wine-producing region on the shores of Lake Murten, is the ideal destination for "bons vivants"! Try the perch fillets fresh from the lake, washed down with a glass of excellent local wine. To round off your meal, sample the renowned gâteau du Vully (baked cream tart). Mount Vully is situated on the western side of the Seeland's largest plain and resembles a pearl gently placed between the three lakes of Murten, Neuchâtel and Biel. The Celtic and Helvetic tribes appreciated the region's temperate climate and the local countryside's particular charm. 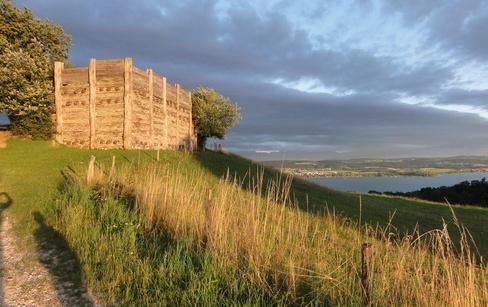 Secrets from these ancient settlers can be re-discovered in Vully's archaeological sites. 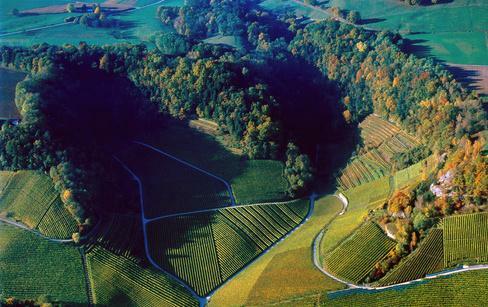 Today, the Vully vineyards take up a large part of the south face of the Vully. 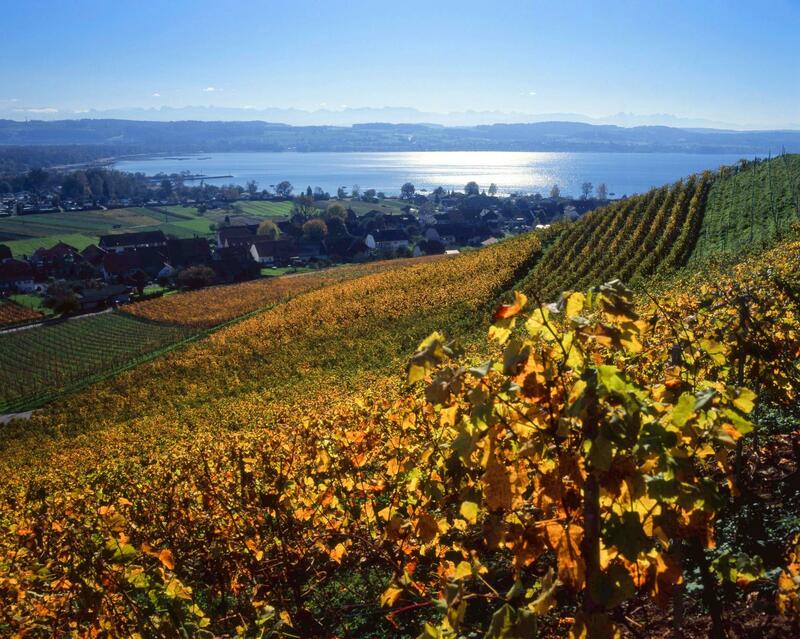 The over 150 hectares of vineyards face Lake Murten, which guarantees the region's mild climate. On the other side of Mt. Vully, vegetable fields are cultivated. The protected natural reserves along La Broye and the shores of Lake Neuchâtel offer peace and quiet to both walkers and nature lovers. From the south facing peak of Mount Vully, a spectacular bird's eye view awaits the tourist. In the foreground are the beautiful lake, the Murten region and plateau, while the Pre-Alps gently rise up to meet the majestic Alps, forming a breath-taking picture. Walk to the north face of Vully and catch a glimpse of the Lakes of Neuchâtel and Biel as well as the Jura Mountains on the horizon. 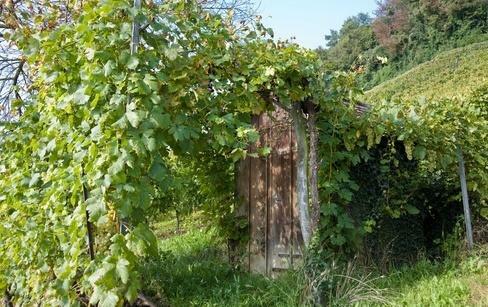 A thematic walk through the vineyards of Vully, in both Fribourg and Vaud, helps you to understand the different stages involved in wine production.